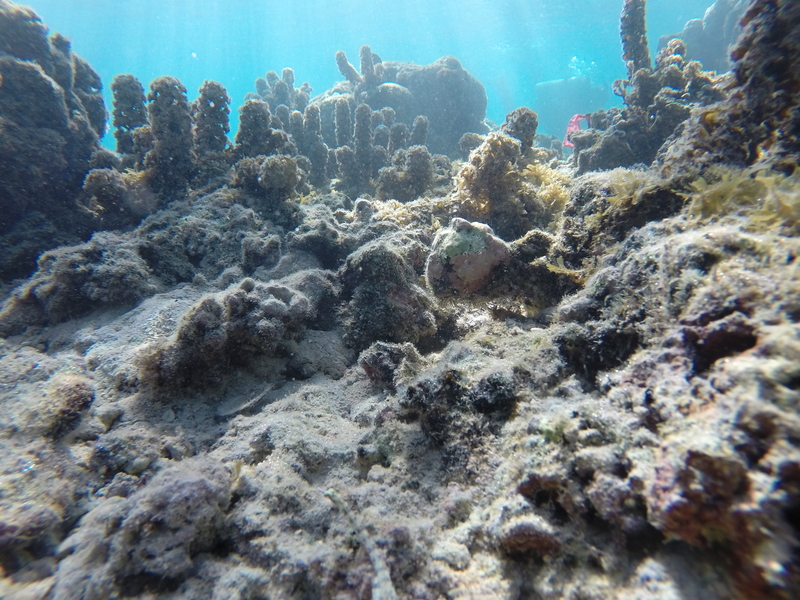 I am a marine community ecologist interested in how multiple anthropogenic pressures influence trophic structure, species diversity, and overall community dynamics. Turbinaria ornata growing on coral rubble in Mo’orea, French Polynesia. Photo courtesy of Briana Fodor. My dissertation research focuses on foundation species in both temperate and tropical systems, and how human alterations to top-down and bottom-up processes impact foundation species abundance and interspecific interactions. Coral reefs — A secondary foundation macroalga, Turbinaria ornata, has been expanding in range and habitat usage for the past 35 years. My work suggests a unique interaction where nutrients inhibit herbivory and facilitate T. ornata biomass accumulation. Zostera marina and Ulva expansa in Bodega Harbor, CA, Photo courtesy of Stacey Virtue. Seagrasses –– Macroalgal blooms on eelgrass, Zostera marina, beds can cause decline in shoot density and potential impacts to food webs by loss of epiphytes, but these effects varied by algal species. 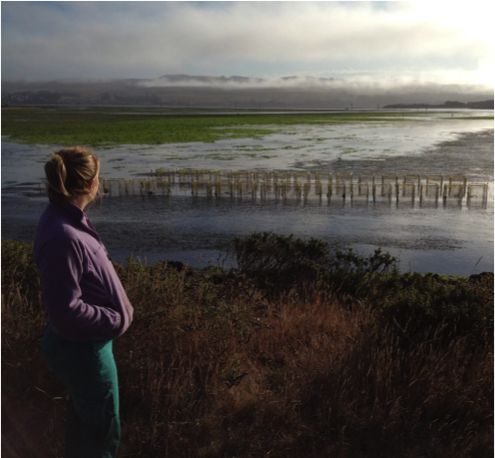 I have also studied facilitation in a Southern California salt marsh and the negative impacts of macroalgal blooms on mudflat infauna. See publications and curriculum vitae for more details.